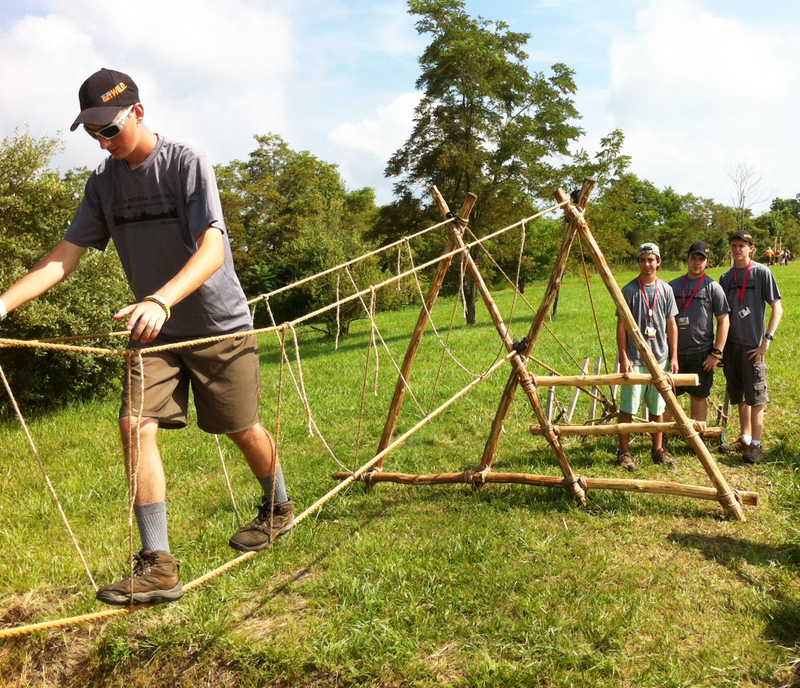 For those familiar with the traditional Double A-Frame Monkey Bridge design, a couple of noticeable modifications will be apparent from the outset. (Click on the photos for larger views.) Scout Engineering is a fluid undertaking, and frequently variations are necessary. Just as frequently an alteration or change can be deemed a desirable improvement. In the case of this double A-frame design, the consensus of opinion is these modifications are really neat, and I’m sure Adolph Peschke would concur. Ladder rungs! Lashing a couple of cross pieces between the legs of the left A-frame cancels the need to climb on board the bridge using the foot and hand ropes! Same thing of the other side. 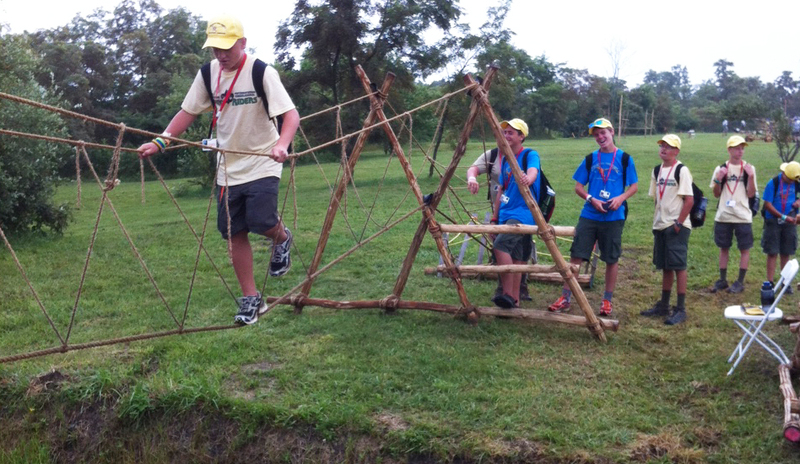 Crossers use the rungs and have a safe and easy way to get on and off the bridge, AND eliminate the often awkward balancing act on the ropes between the A-frames and the anchors. There’s an added advantage too: no more excess stress and strain on the ropes near the anchors.